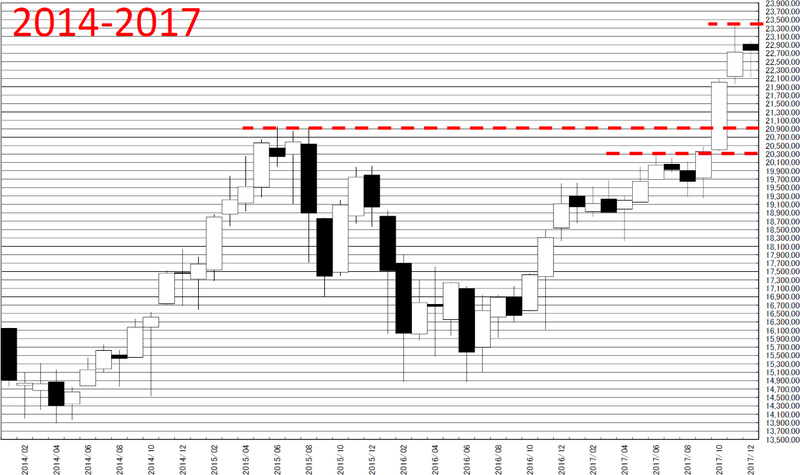 NIKKEI 225 annual No.13; Reviewing our 2017 report; First half of the year was almost proper but we wrong after September around. First half of the year was almost proper but we wrong after September around. 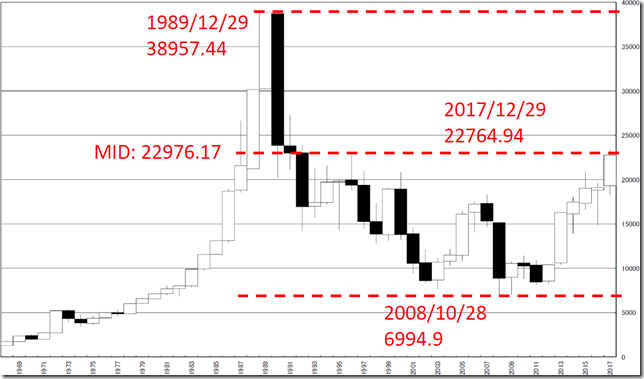 We reported “NIKKEI 225 annual No.9; Review our report; now is similar to 1983 market” in 11/1/2017. So we reviewed at that time. We review 2017’s report and we will build our view after that. We reported “NIKKEI 225 annual No.2; 20000yen over in 2017 close price will be difficult” in 1/2/2017. 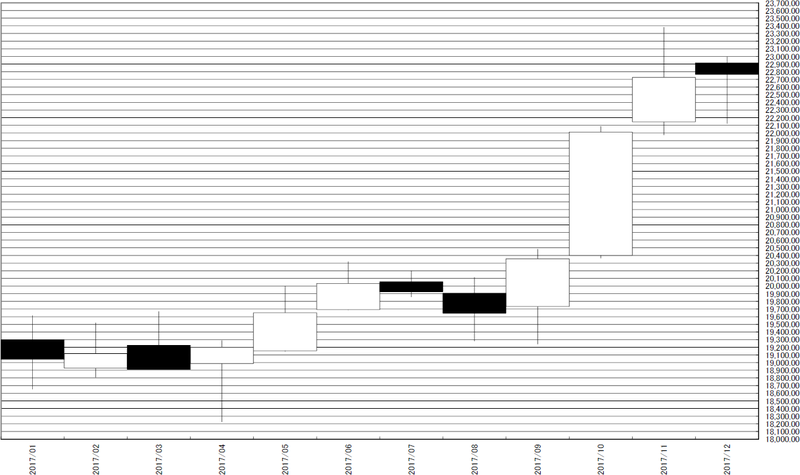 This is unusual market price movement. We reported “NIKKEI 225 annual No.10; cutting May or June high in September or October is rare; this occasion was only in 1969” in 11/2/2017. We reported “NIKKEI 225 annual No.11; taking new high in October, main scenario is rally will continue at the end of this year; 1987 was so, but…” in 11/3/2017. These reports are almost proper. 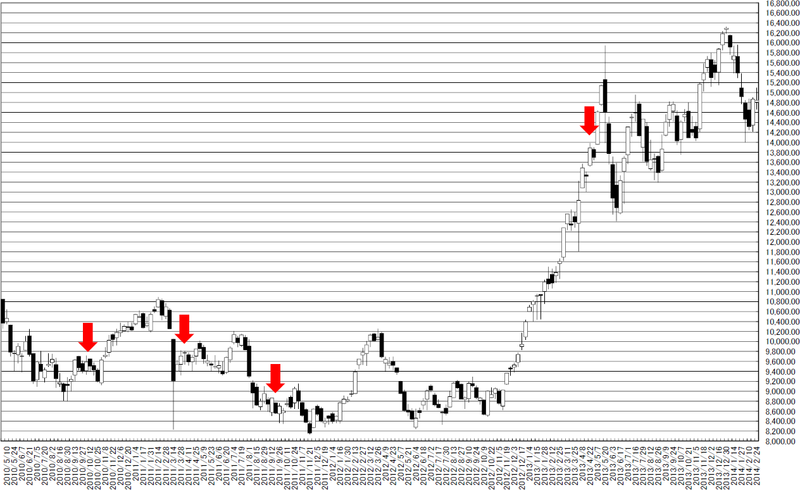 We began to fail at September and the important resistance were 20300yen and 20900yen. We can know 20300yen and 20900 yen will work as support and if the price will take new high, the price will clearly cut 23400yen. These points are logically proper and we will use these point at falling phase. Yearly close price failed to go over “The half price”. We will refer the next report. Thank you reading this year. 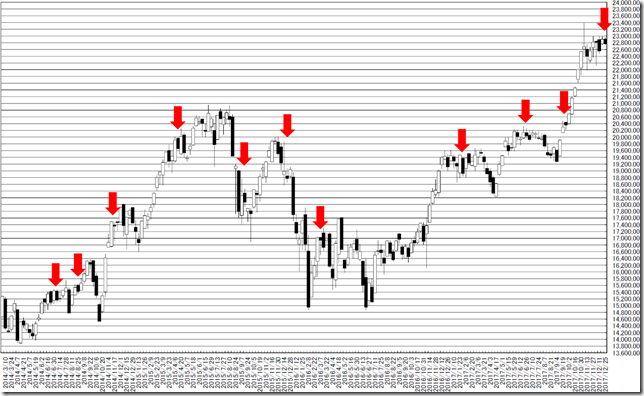 NIKKEI 225 weekly is “HAGURO” No.16(10) formation; “Inside Bar” forms again; accumulating break power. In this week, N225 formed “HAGURO” No. 16(10) formation. 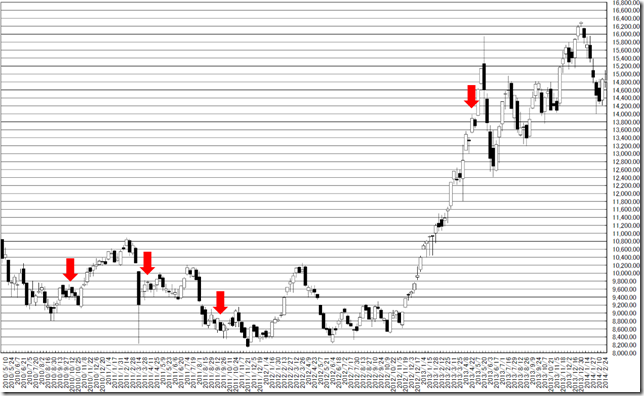 In past 400 weeks, N225 price formed “HAGURO” No. 16(10) formation was 77 time. Single formation does not have no mean. We reported “NIKKEI 225 annual No.12; if the yearly close will be 22976 yen over, rally will be continue in next year” in 12/7/2017. Our conclusion is this analyze implies the all of the future. 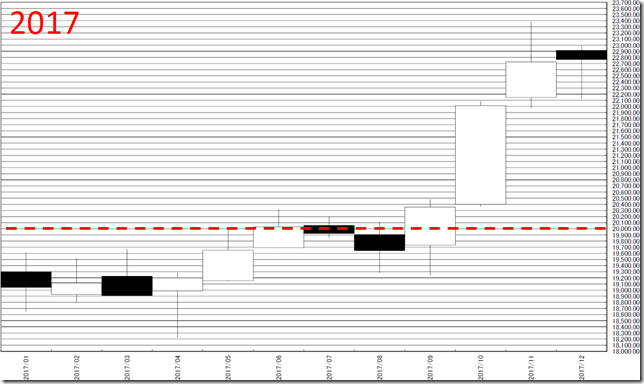 Yearly close price was formed and we will refer this matter later. This week formed “Inside Bar” again. And this week was “Black candle stick after white candle stick”. The market accumulates the energy and closed.